It’s the first really warm day we’ve had in this uncertain spring in Maryland. It’s lovely to be able to write on the porch this morning. I thought I had a different topic brewing, but as I sit here listening to the birds’ spring songs and see the full, budding trees, I am led to an alternative awareness. Emergent is the word that keeps whispering to me. Emergent. We have been in the cold and dark for what feels like a long time. But it has not been a barren time. Sometimes it is so wonderful to shut off the brain, to let things be as they will and to even let go of our struggle for awareness. Let the universe work its wonders in the dark. 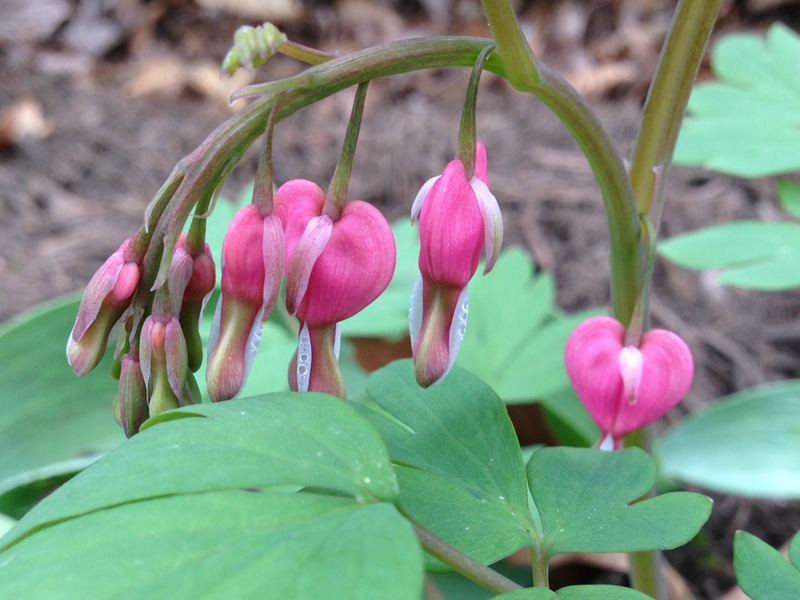 I was in the garden yesterday evening, pulling back the leaf cover and was overjoyed to see the bleeding heart I had forgotten I’d planted last year. Its robust green growth emerging while its mostly hidden white stalk and roots lay deeper in the soil. It always amazes me how even during what seems like an endless winter with late snows and single digit temperatures into March and April the flora and fauna are undaunted by the chill and just followed the light. That was their guide, not fickle, fluctuating weather. They had a deep knowing of what to follow. While you and I were off with our busyness, living out lives, there were all kinds of miracles brewing, growing toward the light. It is the perfect metaphor of hope and then trust. What miracles are working inside me, inside you that we may not even know about or have forgotten. What is emergent, reaching toward the light during this wonderfully tingling time? I’m reminded that I need to step aside and let it blossom for just like the plants, the light is what feeds us. Categories: Body Prayer, Contemplative Living, Contemplative Spirituality, Continuous Prayer, Self Compassion, Spiritual Deepening, and spiritual growth.